Maybe if I get the most girliest, hot pink water bottle the Hubs will stop stealing mine! :) To be honest, he only stole one, and the other reusable bottle I lost. But the other night I was thinking about how many of those little plastic water bottles I'm drinking/trashing a week. Gross. I do recycle them, but still. We have a filtered water system in our fridge, I can easily bring agua from home to the gym. 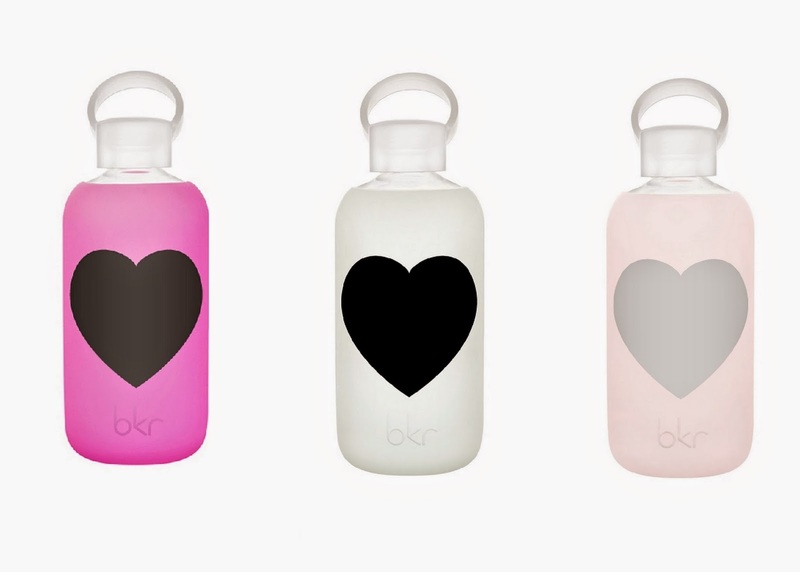 I've heard great things about the BKR bottles. Do you have one? Or do you have a better rec? I like the glass vs plastic and the amount of color options out there! Do I get girlie or basic? I want one of each size too! Somehow my comment disappeared- so second try. I have the big one and it is really heavy when I carry it around. I use my Swell waterbottle way more because it is much lighter, and keep the water cool all.day.long. If you really want glass I would get both sizes so you have the smaller, lighter options when you don't need as much. Oh great to know! I HATE super heavy items, esp when I already have a heavy bag for work! I say go all out girlie. Make drinking that water fun lol. I don't have the bkr but I recently bought a S'well. I need to drink more water and figured that since it stays hot/cold for a good amount of time, I can just fill it up, throw it in my bag and drink up while I'm out and about. I have a 500ml bkr in dark pink. Love it! Eco friendly, fits in my car's cup holder, and I feel fancy using it.